This adorable historical costume DESIGNED FOR BABIES! 1) White lace ascot, 2) Jacket 3) One-piece knickers with attached boot-like "booties" 4) Three-corner hat. President Thomas Jefferson, and Alexander Hamilton, Benjamin Franklin, James Armistead Lafayette, Crispus Attucks, Benjamin Banneker, etc. >>>This is a custom made outfit made in the standard colors displayed in the photos above. You can also request other color combinations to fit other men's clothing and/or people from the 17th and 18th Century - let me know what you want and I will customize this outfit to suit your request! My clothing seams are finished, and/or fully lined for professional quality and lasting wear. This MADE IN AMERICA outfit is handmade by our very own HistoryWearz™ shop owner in a smoke free, pet free home and office. Hand wash cold water, line dry. Beautiful workmanship,Fast Shipping,Elegant Seller&Seamstress!!! Highly Recommend! !Thank You Shirlee!!! Another exceptionally crafted and beautiful doll from this seller! This seller is absolutely phenomenal with her attention to detail and historical accuracy in her pieces. The quality of the work is refined and eloquent as well! As a history teacher I have used her creations in my own classroom to teach students. Her pieces help the students form a personal connection with what and whom they are learning. She is an exceptional listener and communicates throughly with her customer to create the piece to the satisfaction of the customer! I have bought several pieces from this seller and will continue to do so! I highly recommend this seller and have never been disappointed. She is a special craftsman indeed! Thomas Jefferson looks as if he is ready to address the Continental Congress. His red hair and blue eyes seem very appropriate. He is wearing a darling outfit with much attention to detail. He will be fun to have at patriotic occasions. 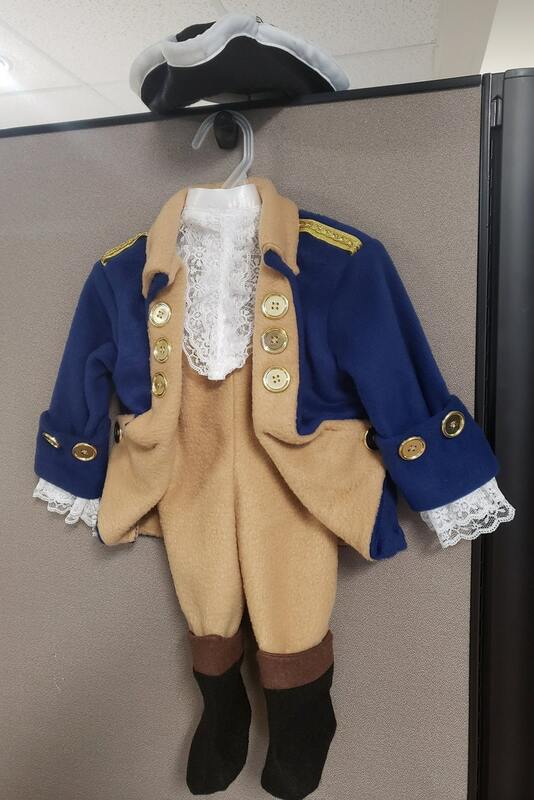 Creative George Washington outfit. I like the button detail. I love the color combinations. The hat and boots add a nice touch.